If you're short like me, then you know how difficult it is to shop for clothes that fit, especially if you have curves. Dresses that should fall at your calves often go to your ankles, or what is considered knee length on taller girls are considered midi length on me. 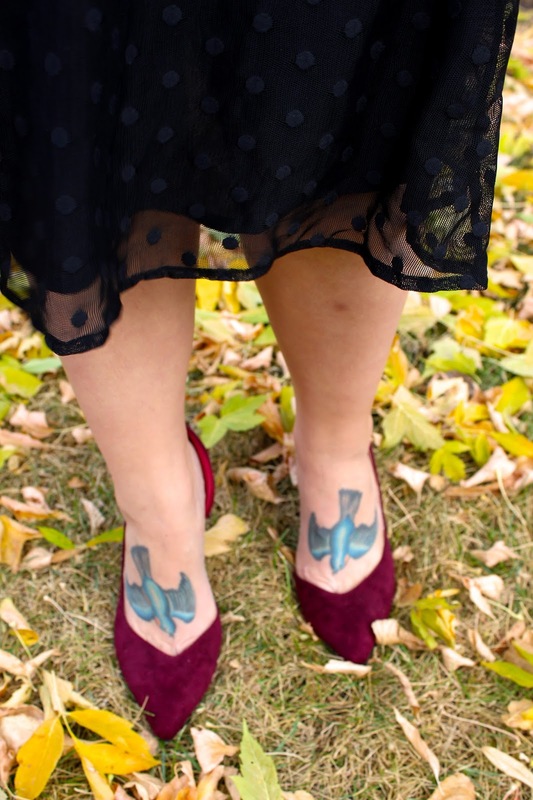 eShakti specializes in customized dresses that fit like a dream. Even beyond height, you can customize sleeve length, add on pockets, or send in your exact measurements to make sure every item of clothing fits perfectly. There's something to be said about a dress that fits like a glove. 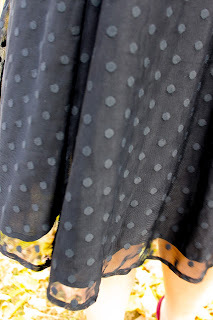 I customized my dress to include pockets and since the skirt is flowy, they sit perfectly hidden in the folds. The pattern on the netting is so well made and adds such a gorgeous detail. 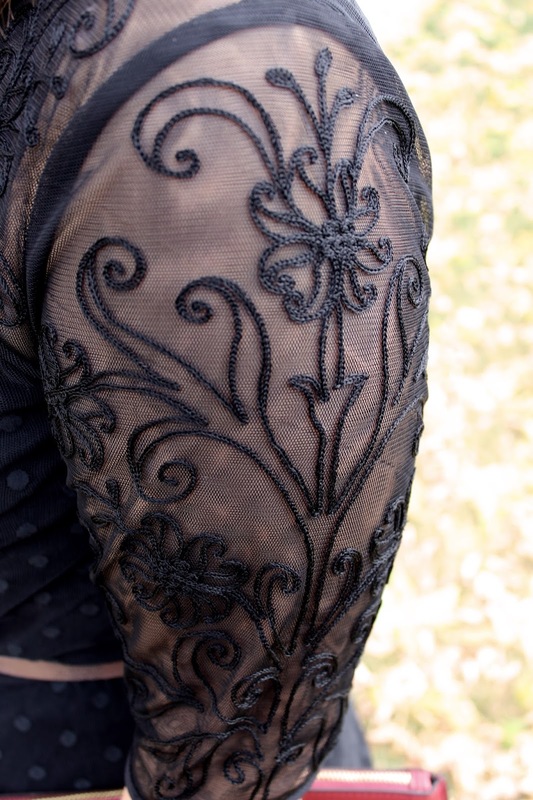 I customized my sleeve length to end just at my elbows as I love the classic look of it. 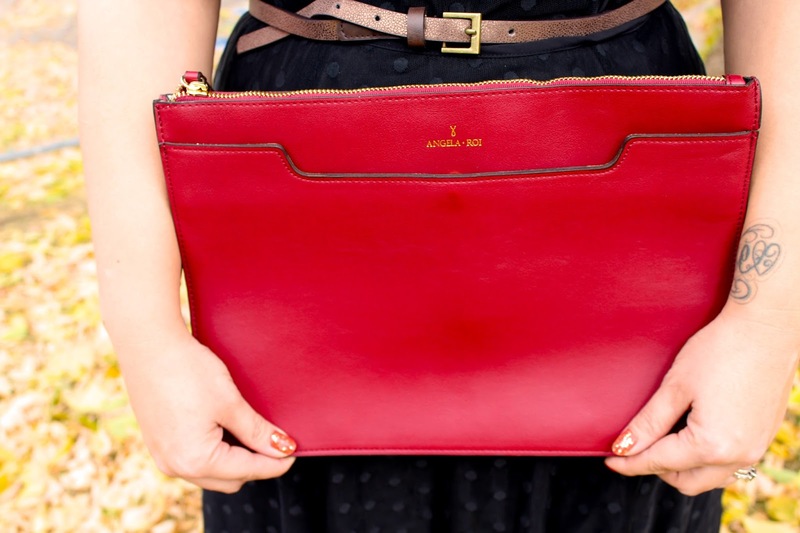 I added my Angela & Roi clutch to complete the look. I'm a girl who carries a lot of things at all times so this large envelope clutch is perfect for me. This is one of the nicest dresses I've ever owned, the quality is really amazing. Since I customized it to my height and liking, it's quickly become my favorite and I cannot wait to wear it throughout the holiday season. 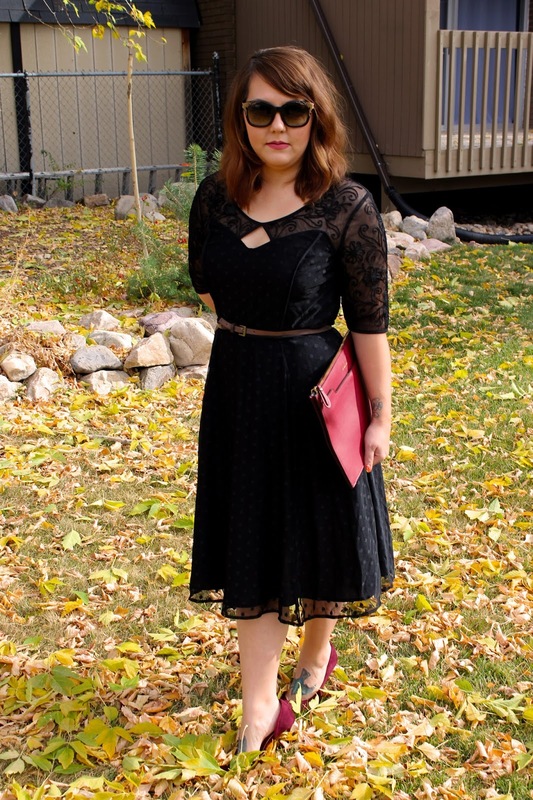 If you like this dress you can purchase it on eShakti's website here. I've already got a wish list a mile long, especially as I can customize every item so I can get exactly what I want. Remember to follow eShakti on twitter at @eShakti and instagram at eshakti to see how everyone else is customizing their pieces. It's so fun to get inspiration from so many lovely ladies! 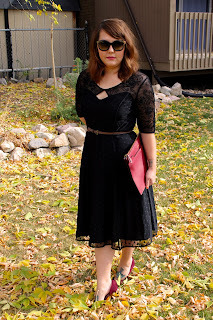 *eShakti kindly gifted me this dress, however all thoughts and opinions are my own. No other compensation was received. I would never share something with my friends that I didn't 100% love and would purchase with my own money! Oh wow Kim that dress is lovely, you look absolutely gorgeous! Love the red shoes and bag too! Great post my beautiful friend I hope you are having a great week so far. Wow, you look stunning! This dress couldn't be more perfect on you and I love the pockets as well! So gorgeous! You look amazing Kim! Not only do I adore that dress, but your sunglasses are awesome too! 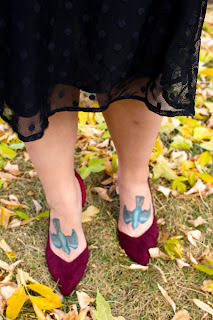 I've always wanted to try eShakti because I love that you can customize your order. I really appreciate your review and perhaps I'll have to check out getting a dress of my own. I hope you have a wonderful Friday and a great weekend! This dress is so beautiful! 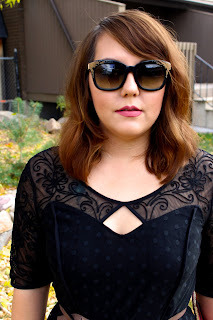 I love the sheer lacey sleeves, and the keyhole detail just finishes it off perfectly. I've heard so much about eShakti and think they sound like an amazing company - the ability to customise your clothing as you buy it sounds just wonderful!